If you’ve ever built a virtual synth before, you know that trying to reproduce the analog sound is really hard1. It’s better to compete where digital has a comparative advantage, like spawning hundreds of oscillators dynamically. That’s the essence of the supersaw synth: stack a bunch of sawtooth oscillators on top of each other, each at a slightly different frequency. Here’s the demo and the code. There are only two knobs: one to control the number of oscillators; the other to control how out-of-tune each oscillator is. It’s simple, but it can make some cool sounds. Read on if you want to learn how to build your own. 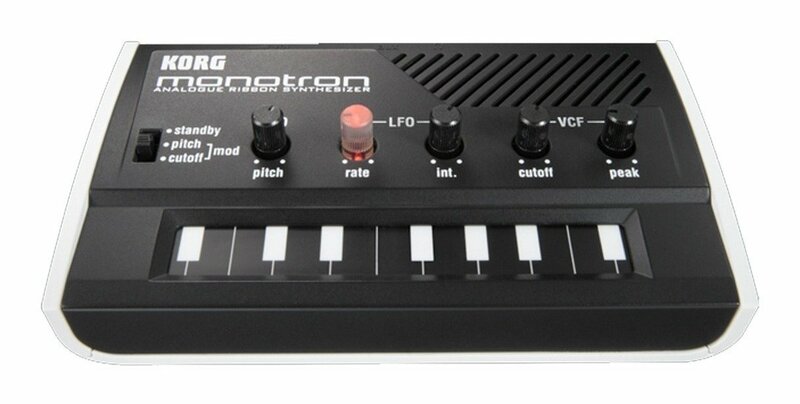 The Monotron is an awesome little analog synth by Korg. In this post, you’ll learn how to recreate the Monotron with the Web Audio API. This is a long post, so to get an idea of what you’re building, check out the demo and the code on GitHub. One of the main shortcomings of the Web Audio API is that there’s no native support for generating noise. This post will teach you how to overcome that limitation.